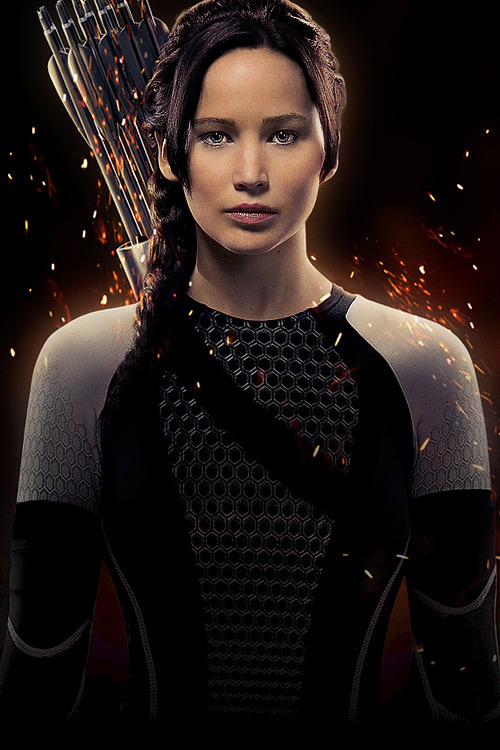 Katniss Everdeen CF Poster. . HD Wallpaper and background images in the 凯特尼斯·伊夫狄恩 club tagged: the hunger games katniss katniss everdeen everdeen catching fire promotional poster jennifer lawrence. This 凯特尼斯·伊夫狄恩 photo might contain 切肉刀, 菜刀, 斩波器, 胸甲, 盾, egis, 神经, 自体, 胸牌, 主持, and 保护.